Ideal Sports Horses is run by Australian Olympic event rider Brook Staples and his wife Kathy. Together they run a 25 box yard in Surrey. In addition to producing and competing event horses, they also take horses for breaking in, schooling or sale. Brook is a British Eventing Accredited Trainer and trains riders of all ages and abilities. He has been placed at both Badminton and Burghley and competed at the Sydney Olympics. 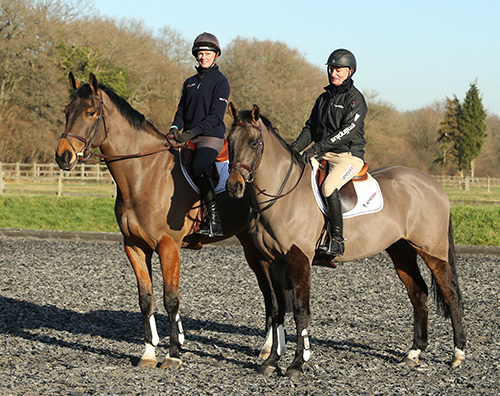 Both Brook and Kathy teach riders of all ages and abilities and are happy to welcome pupils to their yard to use their facilities or will travel out to private yards or schooling venues. Brook and Kathy always have a selection of quality event horses and youngsters for sale. Please give them a call to see if they have what you are looking for.